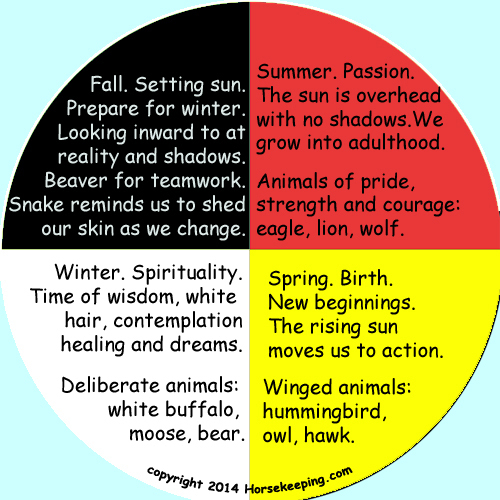 This entry was posted in Design Style, Medicine Wheel, Native American, Native American Tribes, Oglala Lakota, Symbols & Powers and tagged fetish, four directions, four seasons, four worlds, lakota, medicine wheel, native american, sioux, six directions, symbols by Native American Jewelry Tips. Bookmark the permalink. This is really a awesome web blog. The postings in this blog are quite excellent and i liked it. I shared a link on Facebook. Thanks for the info, I’ve wanted to know what this symbol meant for a long time. I’ve LOVED Native American history, and been very sad that I didn’t get to inherit more from my ancestors, but that’s ok, keeping the Spirit Alive, is what counts 🙂 I’m glad I looked this up, and found your page, and your beautiful art!!! Want one yellow east, red south, black west white north.